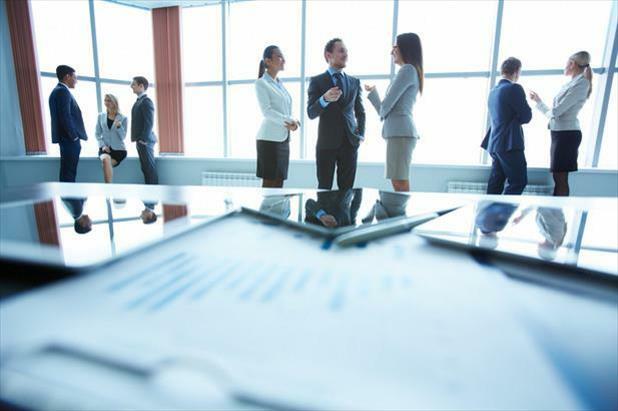 According to information found in the US Bureau of Labor Statistics’ (BLS) Job Openings and Labor Turnover Survey, approximately 70% of jobs are found through networking*. This is great news for individuals who find it easy to strike up conversations with perfect strangers and enjoy the work it takes to grow and maintain a personal network of contacts. For introverts, however, this statistic can be worrying, but it shouldn’t be. Networking isn’t just for the outgoing – even the shyest job seeker can master the art of schmoozing. Here are five quick tips to help you meet people and make connections. 1. Be Yourself: This advice might not seem very useful, but it’s true. Don’t fake being outgoing – most people will see through you rather easily. Instead, find your own style. Be upfront with people and tell them you’re completely out of your element and find networking terrifying. Find a fellow introvert and bond over your shared discomfort. Another suggestion is to face your fears head on and introduce yourself to as many people as possible. No matter what approach you choose, the important thing is that you get out there and attend some meet-and-greets. It may take some time to arrive at a strategy that works for you, but this practice will help you gain confidence. You may even enjoy yourself a little bit. 2. Set Realistic Goals: Don’t try to “work the room” if it’s not something you’re comfortable with. Instead, focus on making one or two solid connections. Having a specific – and attainable – objective gives you something to shoot for. If you set a modest target, like having a meaningful conversation with one or two peers, then you won’t feel quite as overwhelmed. You may also be less likely to look for an excuse to leave early or skip the event altogether. Starting with small goals will make following up easier, too. Rather than sorting through a stack of business cards and trying to remember what you talked about with each person, you only have to write one or two messages. Sending a quick note to thank the person for their time will solidify the connection and give you the opportunity to set up another meeting. 3. Create a Plan: When you’re getting ready to go to a networking function, put together a general agenda. Think about your ultimate goal for the event. Are you attempting to get some face time with a particular person? Is your objective to expand your connections with professionals from a certain company, industry, or career level? Do you hope to get a few more LinkedIn contacts? Or would you be happy simply finding the nerve to introduce yourself to a few other attendees? Regardless of if your goal seems large or small, write it down and work from there to come up with a plan of action. Organizing your thoughts and preparing for different situations can also lessen your anxiety, which will make networking easier and less daunting. 4. Network without Networking: One of the best tips for introverts is to circumvent the whole networking process by going behind the scenes. Volunteering to coordinate an event will enable you to meet new people in a more structured setting with a little less pressure. For instance, if you help check in attendees, you’ll encounter dozens of participants and may be able to forge a few new relationships. Or you could offer assistance to the keynote speaker or event manager, which will give you access to many potential contacts. Volunteering to take on a support role will make it easier to meet people. You’ll also be able to show off some of your professional skills. After helping to organize enough professional functions, you might not need to introduce yourself anymore; you could have participants seeking you out. 5. Lean on Technology: The best thing to happen to shy people was the advent of the internet and the rise of emailing as a dominant form of correspondence. Nowadays, it couldn’t be less difficult to reach out to people. LinkedIn, Facebook, Twitter, text messaging, and email have made networking simple (and less scary). All it takes is a few keystrokes or a couple clicks of a mouse. Social media and online communication also make it easy to give as much as you get, which is a key tenet of effective networking. Only reaching out to your contacts when you need their help is impolite, so touch base frequently and send them links to articles they might enjoy or provide news about an industry competitor or former coworker. Networking is a skill that all professionals should work on. Even if you are shy by nature and meeting new people intimidates you, there is no need to let that hold you back. By using the tips above, you can go from wallflower to well-connected in no time. *For an explanation of the math used to calculate this figure, visit Jobfully.